By donating goods you can help us turn houses into homes for former refugees. Families from refugee backgrounds often arrive with little more than a suitcase or two. We rely on the generosity of the community to help them set up their homes. In settlement areas, we are looking for the following items. You can also drop these off to your local Red Cross shop. If you live outside a settlement area you can still donate goods to your local shop. The goods will be sold through our Red Cross retail shops to help fund our migration programmes and our other work in New Zealand and overseas. Volunteering is a fun and rewarding experience. 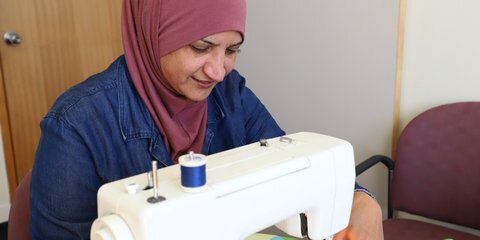 Our Refugee Support Volunteers help families start again, while learning about new cultures, meeting new people and changing lives (including their own!). 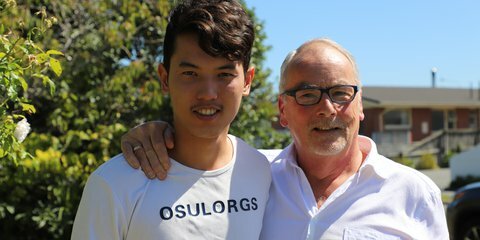 Why not become a Refugee Support Volunteer? You will be working in teams to provide support for former refugees as they embark on their settlement journey. 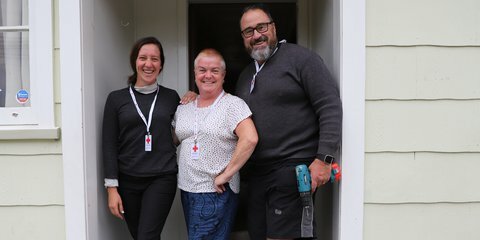 New Zealand Red Cross Refugee Support Volunteers Bob, Frances and Emma worked late into the night to turn a house into a home for a former refugee family arriving in New Zealand.